Sniper’s Hide and Impact Data Books, the leader in data book production, have teamed up to bring the members of Sniper’s Hide the opportunity to own a copy of the most versatile data book ever produced while showing your support for the #1 online sniper site in the world. Frank Galli, former Marine Scout Sniper and owner of Sniper’s Hide, and myself sat down and have put together a data book that we feel offers a great mix of data collection pages that will enhance the way shooters train. This book’s layout was hand selected from our always expanding collection of over 380 unique data collection pages. As with all books offered from Impact Data Books, our books come in our durable polycarbonate 3 ring binders which allow you to add and expand your book as your shooting needs grow or change. The ability to have flexibility, modular ability, and other unique options is what makes the books from Impact Data Books the choice of military, law enforcement, competitors, and recreational shooters around the world. 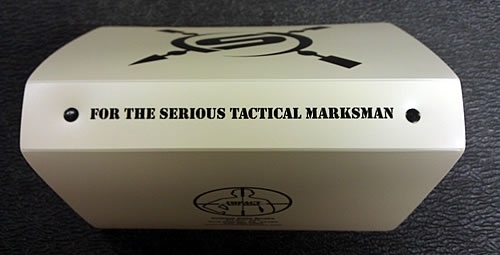 This book will feature the Sniper’s Hide Logo on the front and the quote, “For the Serious Tactical Marksman” on the spine. This book comes with our standard index pages which feature all the tables, charts, formulas, and reference material a shooter may need. The core of the book is setup as follows: 10- LD-CV, 10- B-B, 5- D-21DD, 10- B-UKD, 15- MLS-SD2, 5- ML-SIL, 5- S-CIR, 10- I-CUS, 5- I-EFDSB, and 5- I-N. This is a limited run of 150 books!! We don’t expect them to last very long and we don’t know if or when we will do another run of these. Don’t miss out on the opportunity to show your loyalty to your favorite shooting site while at the same time owning the data book that will make a difference in your shooting. We will be opening up pre-sales on these books today. Books will start shipping on Monday, October 17, 2011. Happy Shooting from Impact Data Books and Sniper’s Hide, your leading sources for long range shooting. Well you guys are quick to the draw!! We are already getting orders in less then 5 minutes!! Thanks a lot for putting this together. Tony was meticulous at making sure the book reflected my personal use and requests. This is the book how I would use it. From Load Development to Shots Downrange, this book has everything you'll need from square range to field use. Again leading the way in data book production. Good job. Looks like a well thought out book. I need to order one. Just put in a order for two. One for me and a mate of mine. Glad we can make this happen for the members of the Hide!! We were excited when Frank said he wanted to do this and the response to the release of this yesterday has been massive. We look forward to getting these out to everyone. Hi do you have any other shipping options it is over $20US to post one to Australia i would like to order one but the postage makes it a huge increase. I know there are flat rate boxes and envelopes to send overseas. Your PM box is full clean it out. I am trying to PM you. Great idea Tony, when will the heavy paper practice targets be ready to order? Tony and Frank, Thanks a lot for this. Great book, looking forward to using it. Any way I can order the F-Class pages with this? I have another book I want to swap the pages out that is mostly these pages. Hey Bill I am away on a family emergency. Let me check out if there us any other shipping option for you. For whatever reason the orders we send to Italy, Australia, and New Zealand the cost of shipping is expensive. I think the US postal system has a grudge. Books are being made today and all orders that have come in will start getting filled. So be on the lookout for the your order has shipped emails. We have sold over half of the books and once they are gone thats going to be the end of the run on these so get them while we have them available. Also dont forget we are getting close to the end on the <span style="font-weight: bold">American Snipers Raffle </span>all proceeds goto ASO in order to help our snipers get the gear they need. Nice books. I put my order in. Did you buy one for me? Got mine too. It's a sweet setup. Got mine today! Quick shipping! Thanks, it should help me a lot! Glad everyone has got there SH books!! we have about half left so come and get them and show your support to SH. Once these are gone not sure if and when we will do another run like this. I have to say I was surprised with the first 10 pages or so. To have all that extra info. Glad you like your book. All IDb books come with the most solid index pages ever found in a data book on the market. These pages were designed from my time in the military and include all the things I always needed the most. Now you can have all that at your fingertips in each and every one of our books. We still have books remaining so come get them while they last. This may seem like an odd question, but is there any way I can get one with the holes punched on the right side of the page instead of the left? I write left handed. These books flip open from bottom to top!! We made them ambi for people just like you!! We have about 35 ish left!! You have one less now. Until we sell the last of them. We have sold 2/3 of them already! 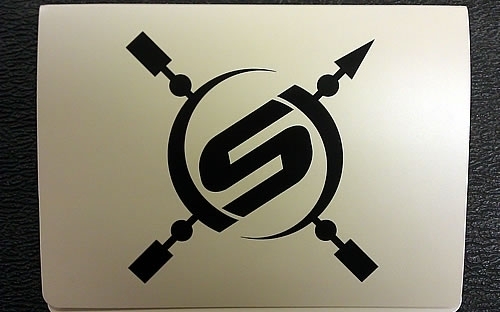 Should make a Snipers Hide logoed cover for it too. I would be up for that too! I ordered one up to give it a try. I would prefer write in the rain pages. I did not understand all the pages included with the codes, although the primer above helped. I need cold bore pages, Individual service rifle sight in pages, and kill pages for hunting animals. Which pages do I need to order for these three items? 1st post here at the Hide. Picked up one of these books today. Glad we can help you get you a good book. Order in, look forward to getting my hands on them. Down to the last 20-25 books get them while we still have them!! I ordered your data book a few months back... I am so pissed off I didn't see this.